She was said to be ‘mortified’ by the new Keeping Up With The Kardashians trailer which details her cheating scandal with Tristan Thompson. But Jordyn Woods put her best foot forward as she put on a confident display during a night out at Mr Chow restaurant in Knightsbridge, London on Friday. The model, 21, flaunted her curves in a cleavage-baring black leather jacket, which showed off her black bra underneath. She teamed this with tight leather trousers and ankle boots as she confidentially strutted through the capital during a night out with her mum and her sister. Jordyn accessorised her look with a tiny red, blue and beige handbag and added a smattering of gold jewellery. Much like her former BFF Kylie Jenner, her make-up was applied to perfection while her raven tresses were styled into a chic up do. 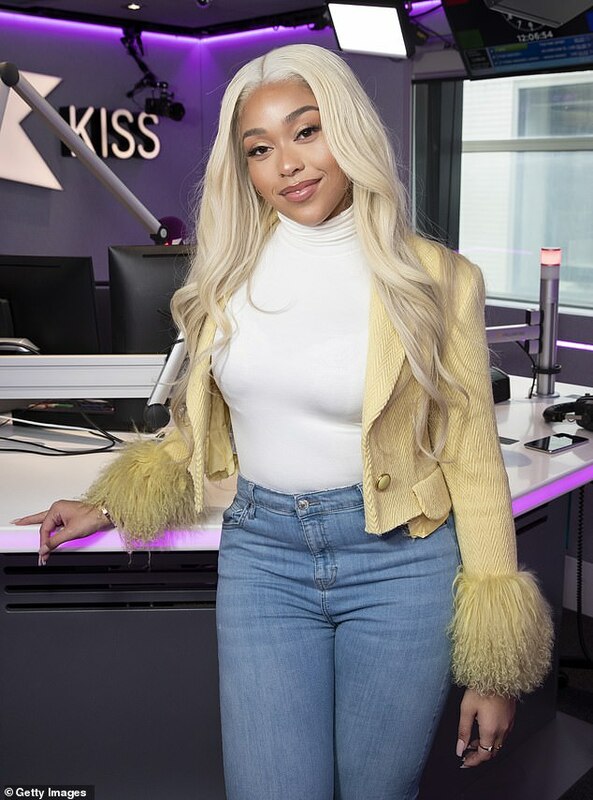 Controversial starlet Jordyn has been enjoying her time in London while she promotes her new eyelash range. However, she was recently crushed by the new KUWTK trailer which was released by E! on Wednesday, with a source telling Metro that she was ‘mortified’. Speaking to the publication, an insider claimed: ‘[Jordyn is] obviously mortified by the trailer, and her mom is upset about it too, but they expected it. 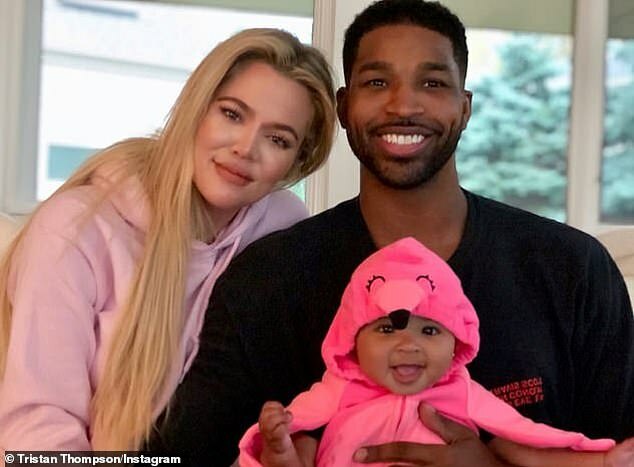 In the hotly-anticipated sixteenth series, fans will get to see the fallout following the revelation that Khloe’s cheating beau Tristan hooked up with longtime family friend Jordyn. Overwhelmed with emotion, Khloe screams: ‘My family was ruined!’, no doubt in reaction to the devastating news that her NBA beau – who was caught cheating on Khloe days before she gave birth to their daughter True – had been unfaithful again. The Good American designer has been left heartbroken after Tristan reportedly kissed Kylie’s best friend Jordyn at a house party last month. It was recently reported by TMZ that Khloe’s sister Kylie, 21, is ‘so over her friendship’ with Jordyn, and is ‘determined to move on’. The make-up mogul allegedly still isn’t speaking to Jordyn since the incident and wants to draw a line on their relationship. Dropshipping! The Easy Way To Sell Hundreds Of Items On Ebay Without Ever Buying Or Holding Stock!